Retro shirts For Bowling, Rockabilly and Swing. 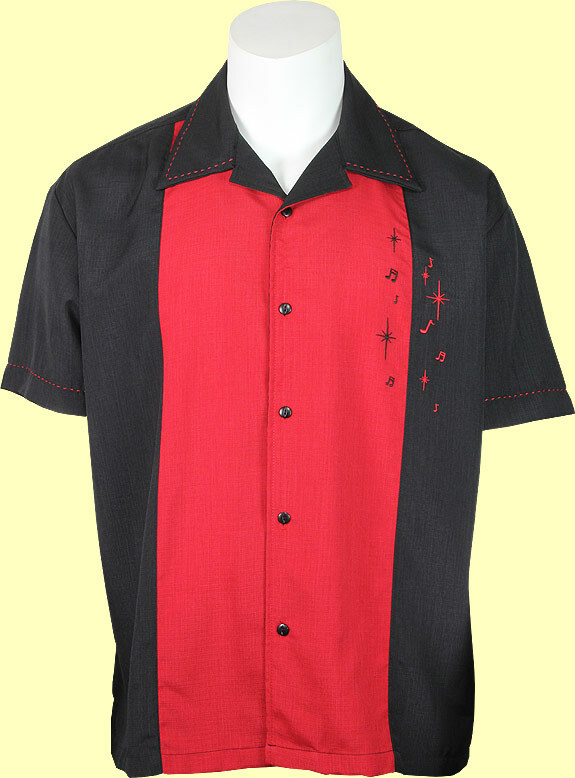 This classically styled black shirt features a red center panel, starburst and musical notes embroidery and vintage inspired stitching on the collar and sleeves. This is a great fabric with a nice feel and very low maintenance.